If you missed the official announcements (there weren’t many) then you might not know that LawBreakers has gone free-to-play and will remain that way until the servers are shut down in September. 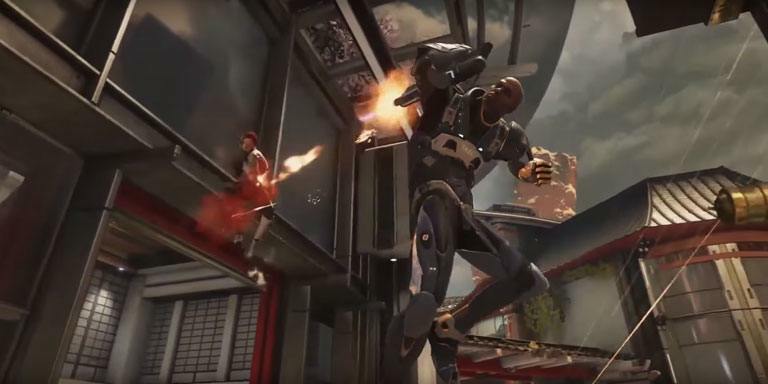 This is following previous announcements of Cliff Bleszinski’s studio Boss Key – the developers of LawBreakers – closing their doors for good. It hasn’t totally risen from the dead yet, but there are a few hundred people playing at any given time according to Steam Charts. Just enough that you might be able to find a match within a realistic timeframe if you chose to hop on. I imagine as more people learn about LawBreakers going F2P those numbers will continue to rise until the inevitable end in September. What is LawBreakers? It’s a fast-paced arena shooter akin to games like Unreal Tournament or Quake – not Overwatch. The primary difference that sets it apart from games like UT and Quake bring it closer to games like Overwatch, and those are set classes to pick from each with their own set of pros and cons. Believe it or not, LB wasn’t a bad game and actually received a lot of good reviews with the majority of negative reviews being related to things like low player counts, company-specific complaints, CliffyB complaints, and things like that. Point being, the vast majority of negative reviews weren’t even about the game itself. All-in-all, if you wanted to try LawBreakers but the price tag or negative reviews initially put you off, now would be your time to see what you missed (or didn’t). It’s definitely not a game for everyone, but I know for a fact there’s a lot of people who would really enjoy it. It can be downloaded via Steam.